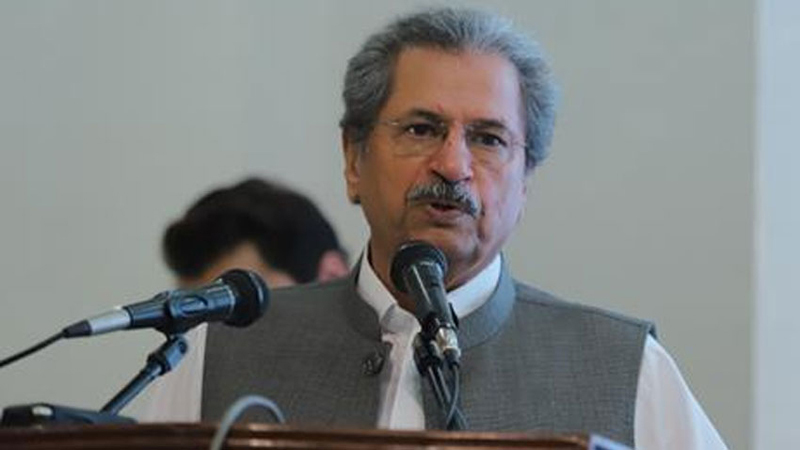 Minister for Federal Education and Professional Training, Shafqat Mahmood, on Wednesday, announced plans to eliminate O-level (Ordinary level) and A-Level (Advanced level) education from the schools countrywide to implement a uniform curriculum in the system. He said this during his remarks to the National Assembly Standing Committee on education with regard to his ministry’s functions and future plans while asserting it would, however, be abolished at the next stage as they were coping with more pressing challenges at present. “As current education system has many other flaws, those direly needed to be mended due to which said the plan would be practised on next level but it will be done ultimately,” he added. Mahmood lamented that presently, three different kinds of education were being tendered in the country. “Providing education in our public sector institutions, in elite private schools and in madrassas, three are totally different from each other,” he recalled. The minister said a technical committee had been formulated to look into this matter, which would consult all stakeholders to make a comprehensive and final decision. He maintained a compatible curriculum would soon be introduced as the ministry was working on it. Highlighting the other overwhelming challenges in the education system, Minister Mehmood said that figures compiled by international agencies point to over 24 million out-of-school children in Pakistan. Bringing all of them into schools was the biggest task, he added. Improving the quality of education at each level, the minister reaffirmed, was another priority of the incumbent government. The creation of a skilful or technical lot was also on the ‘education for all’agenda, he said while adding it was direly needed as 3 million young graduates come in labour market every year but most cannot be accommodated due to unavailability of space. Mehmood said technical education would help fill this gap. When asked if the available teachers were trained enough to fulfil the aforementioned plans, the minister responded that this aspect was also being considered. “Instead of non-formal education, we actually intended to have one an equal system,” he maintained while adding the teachers would be given training at the institutes they were working in through smart technology instead of gathering them in some specific venue. He also said that students’ character-building subject was also a part of the strategy. “I am personally totally dissatisfied with the prevailing education system that contains several loopholes,” Mahmood noted as he promised to thoroughly amend each aspect of the sector. Prime Minister Imran Khan was also said to be very eager for these reforms because he considered an educated society the only key to all problems. Many parliamentarians also voiced that the Inter Board Committee of Chairmen (IBCC) had a flawed formula for the issuance of equivalent certificates to the O-level and A-level students. The committee summoned IBCC representatives in its next meeting to further discuss the matter.